I love it! Sipport, especially with the AI... How about they occasionally breed on their own, but only when 2 gilas are in moist shade? And 3 babies are born, but if they stay out of shade for over... 5 minutes, they die? Only the babies, though. How bout the gila fangs can be used to make a poison dagger? Also, make the gila fangs a 1/32 drop? 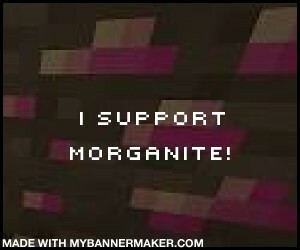 I wouldnlove if my ideas were added, but if not, support anyways! I like your idea about baby gila monsters, but I don't think your gila monster fang idea should be implemented. Ok, thanks for liking the baby gila idea, but Im still going to try to help with an idea for the gila fang. Agh! I know now! You can brew a gila fang and an awkward potion to get a wither or maybe cal it death potion? I yhink thatd be awesome! Why is no one continuing this thread? Its such a good idea!